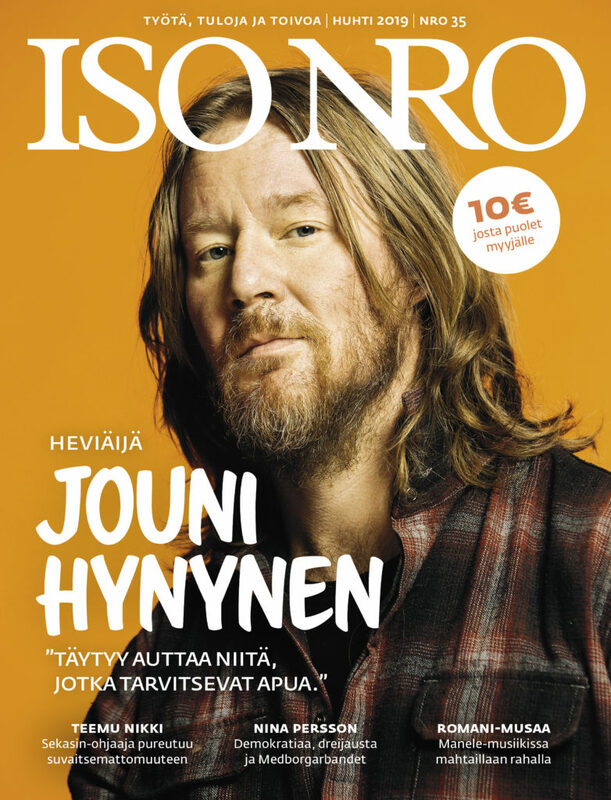 Iso Numero is Finland’s first street paper sold by low-income and homeless vendors. The vendors buy magazines beforehand and sell them in public spaces. For each sold magazine, the vendor earns half of the cover price. Iso Numero was launched in 2011. The first issue was released as an one-off protest publication against proposals to introduce a national begging ban – a policy move clearly targeting the migrating East European minorities that had entered Finnish cities in recent years. The magazine has since grown into a well-known media brand that has earned recognition from the Finnish state, local social welfare organizations as well as the law enforcement agencies in Helsinki. Annually we generate approximately 100 000 euros of income to our vendors who represent a wide cross-section of European migrating minorities and Finnish vulnerable communities.